It was a bit of a struggle to find some interesting items this month, as it is every August as even philatelists stop thinking about stamps to enjoy the sunshine! The first item is a scarcer control setting of the 1/2d vermilion with the letter B without marginal rule. For those that are interested, I have published the Stanley Gibbons catalogue listing for the 1/2d controls on my site, and I haven’t been told off for doing so yet… But at some point I will do my own more specialised listing and pricing as strips of three and blocks of six with controls command a premium. 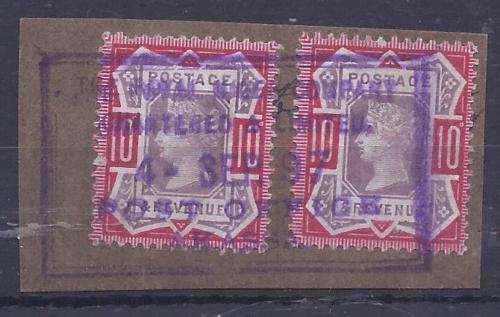 This piece with a 2 1/2d Jubilee was priced at £49.99 and found one bidder. It has a Union Steamship Co. perfin and is tied by a Santa Cruz, Tenerife cds. As you can guess from the perfin, this would have been posted on board a ship and cancelled in port at Tenerife which was permitted by UPU rules. 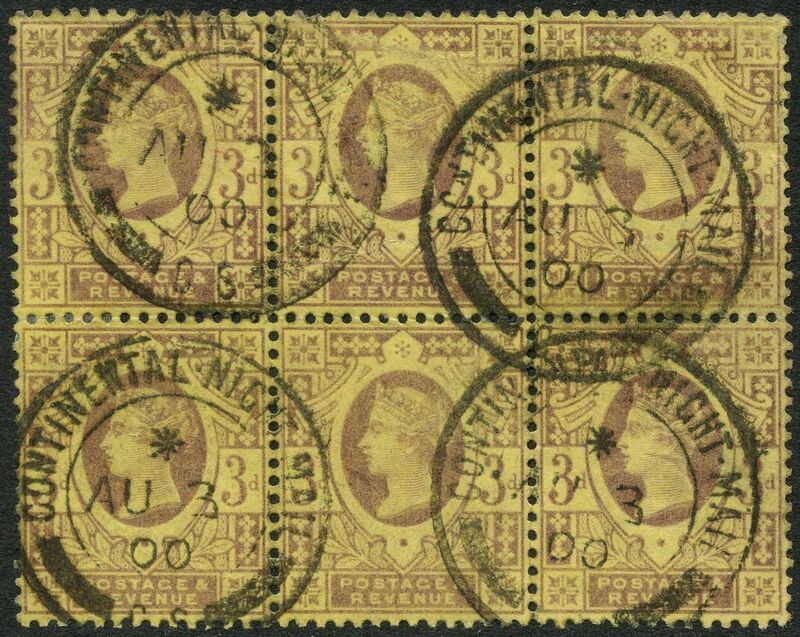 This block of six 3d Jubilees realised £67.99 in spite of a few minor faults because it is cancelled by a Continental Night Mail cds of the Travelling Post Office. More information on this is another “To Do” for the “Related Info” section. And this duo of 10d Jubilees is tied to a small piece by a complete Royal Niger Company Akassa ds and fetched a solid £165.70. 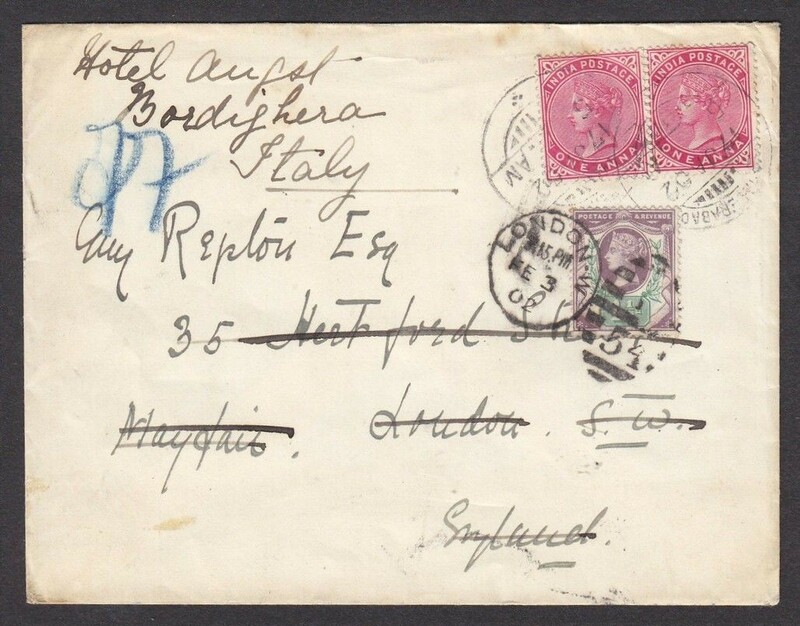 And bargain of the month goes to this Portuguese postal stationery card sent from Funchal on the island of Madeira and redirected from the UK to France with a 1/2d vermilion. Probably because it was hosted only on ebay.com and not ebay.co.uk, it sold for only $15.90. Crikey. For the first time in over 4 years I’ve missed my monthly blog post completely.I mostly blame my hectic work period over the last two or three months, meaning I haven’t had much free time to scour eBay like usual. But even so, there seems to have been a dearth of interesting Jubilee material. Even going through items that have already sold, I didn’t find one thing I was disappointed to have missed out on. 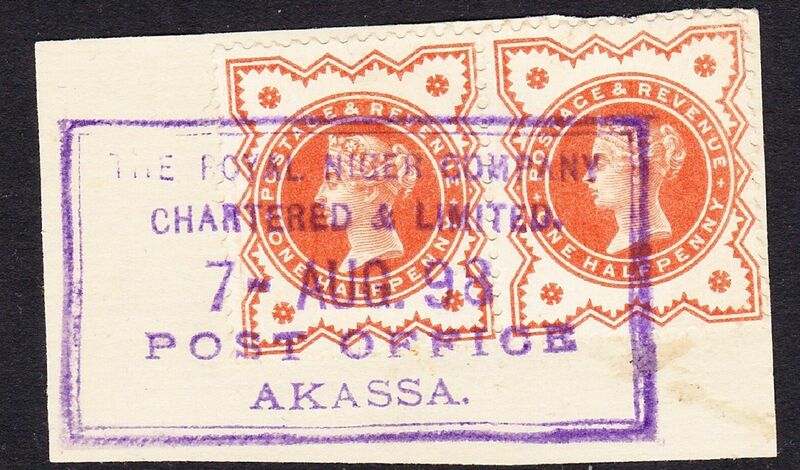 First up is this very clean strike of the Royal Niger Company Akassa boxed datestamp tying a pair of 1/2d vermilions to a piece. It sold for £105.41 which is a strong price considering a cover is probably worth £400 to £500. Just to make sure that it’s not a clean sweep of 1/2d vermilion items, I have a bit of destination mail for you. 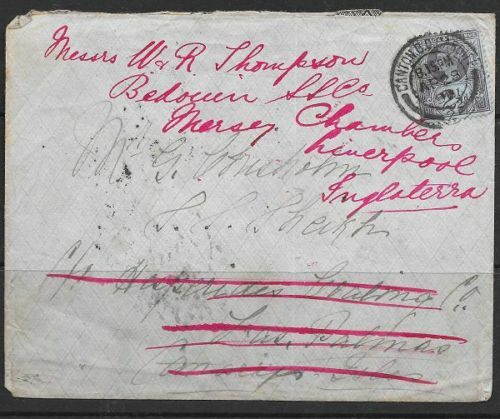 Sold for a miserly 1.34, this cover to the Canary Islands was returned to England, and the reverse shows a Plymouth Ship Letter cds, a redirection mark, and a Canary Islands arrival. A much scarce destination than the price achieved. And lastly, three covers with 1/2d vermilion controls, which sold for £25, £27 and £29 each. 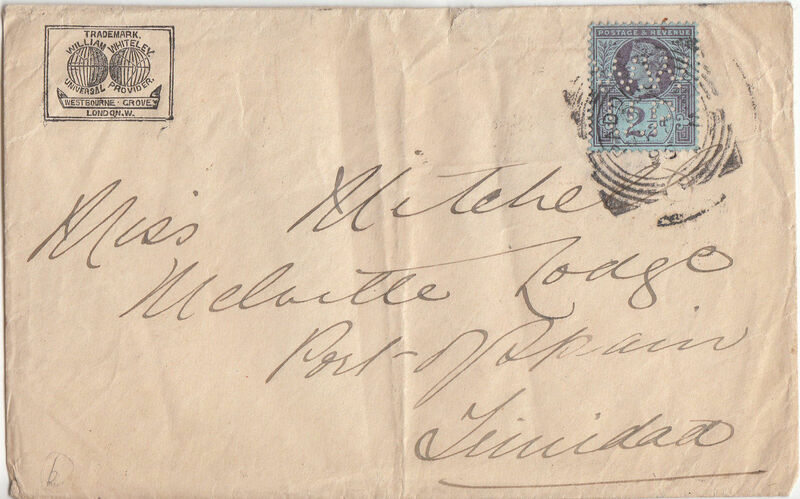 All from the same correspondence, usages of controls on cover are very scarce. Even though the condition of the covers are a bit grubby, this is still a very good price as they tend to retail between £75 and £100 each. I guess I wasn’t the only one being distracted by the sunshine as there didn’t seem to be as much of interest on offer in August, so I only have 3 items to show you this month. This plate proof of the 1/2d blue-green easily qualifies as bargain of the month. One lucky bidder picked this up for only £7!!! Often retailed at around £100, I think it’s real value is £40-50. This cover, although marked in pencil by a dealer for £28, didn’t stop it selling for £115.09, which is about double what I thought it would have sold for even though it’s an attractive high franking. This cover is a rather unassuming one. 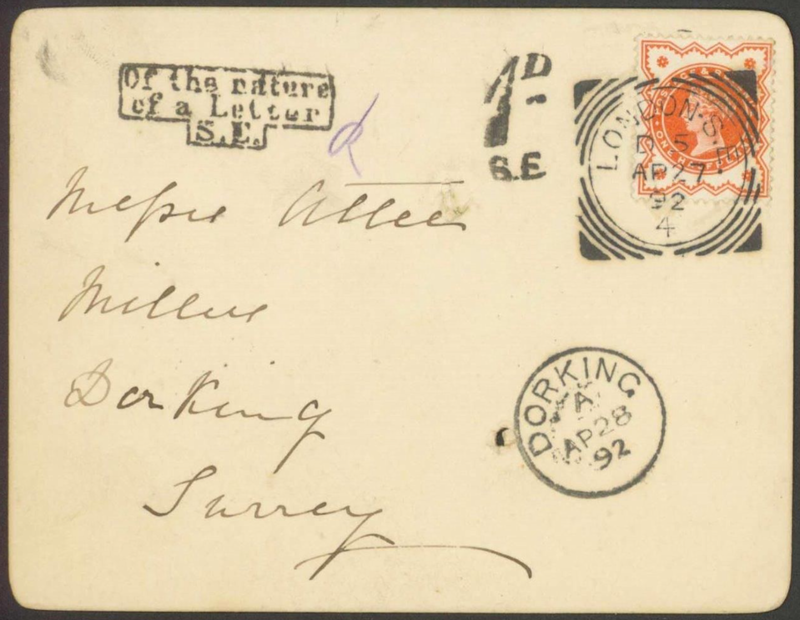 Sent from Earl’s Court in May 1887, this cover was actually sent from the American Exhibition, the first ever exhibition at the Earl’s Court Exhibition Centre! I’m sure the retail on such an item would be £300 plus, so this was a snip at £172! The last item is something that I would have liked to have added to my collection. 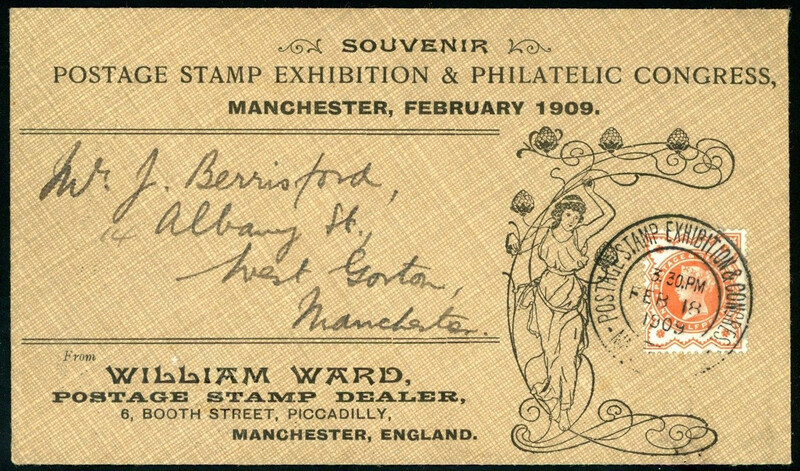 It’s a postcard, but with a message on the reverse, it didn’t qualify for the 1/2d postcard rate and was charged an extra penny and struck with “Of the nature of a Letter” handstamp. Sold for £44.02. Oh dear I’m very late this time. I didn’t even have time to keep track of what was selling on eBay, so I’ve had to cheat and search the “Sold” listings. I was all ready to say that it was a quiet month and I hadn’t missed a sausage…until I took a look at what had sold under Zululand. 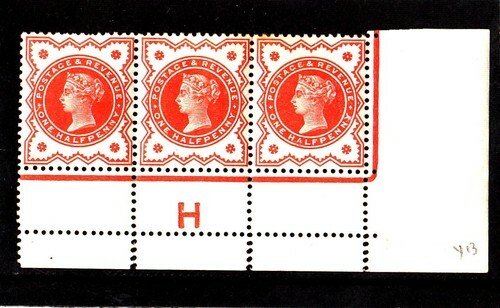 I am constantly on the look out for the overprinted controls of the 1/2d vermilion, and have had ZERO luck in buying any of the Empire overprints. So I was annoyed to see that this D control block of six only sold for £61 (presuming it’s genuine of course). 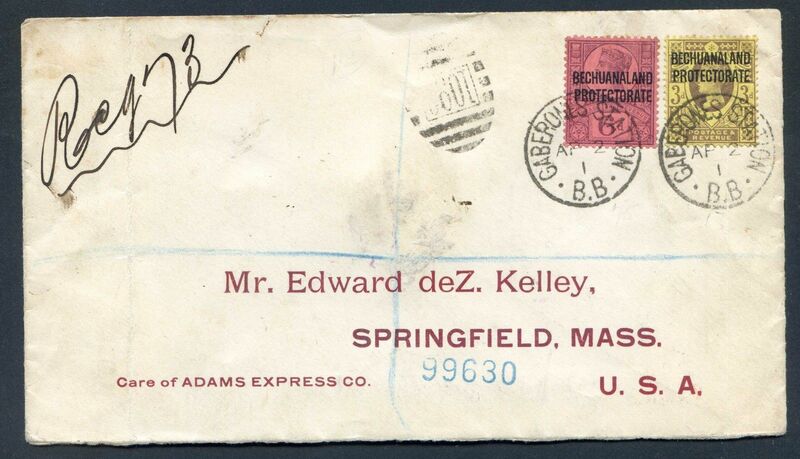 One item I did watch sell was this scarce and highly collectable Railway cover from Dublin. 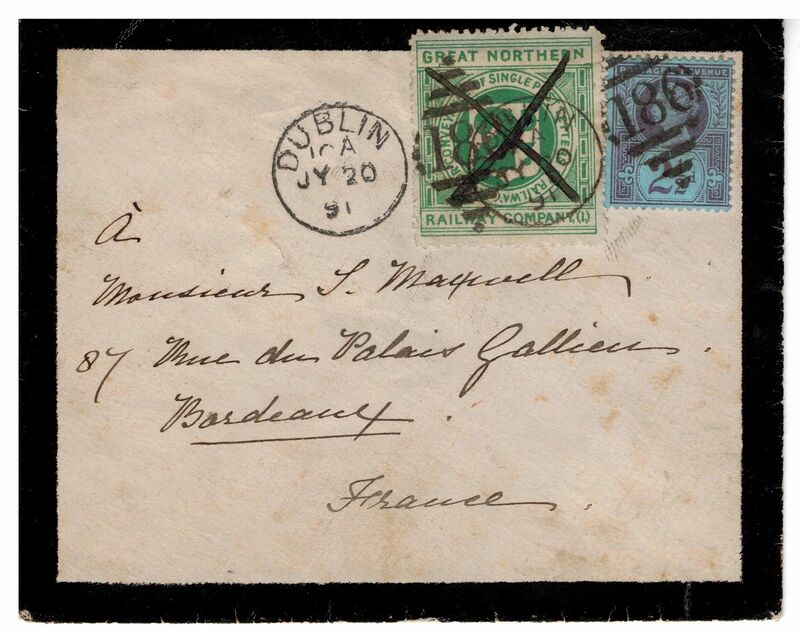 Ones from Ireland are particularly collectable, and even though it’s a little soiled and has a missing backflap this one sold for £313.88. 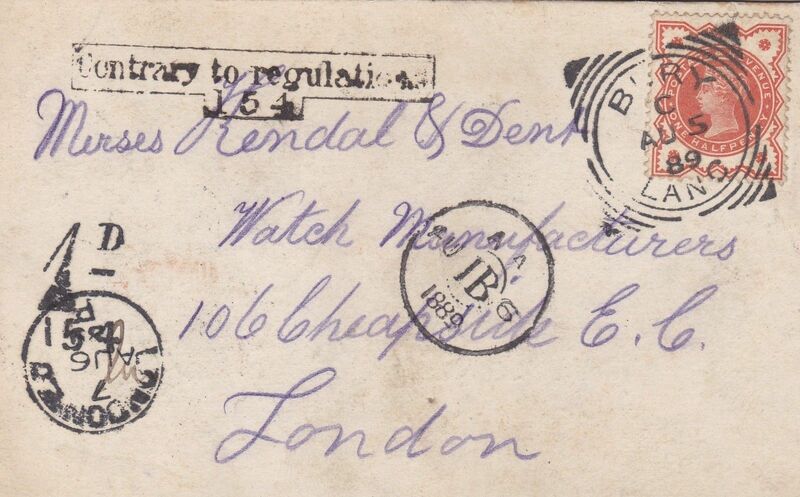 Anyone interested in Railway Stamps should check out Grosvenor’s next sale on June 4th: The Rev. Roger de Lacy-Spencer Collection of Railway Stamps. This Niger Coast provisional is worth mentioning. 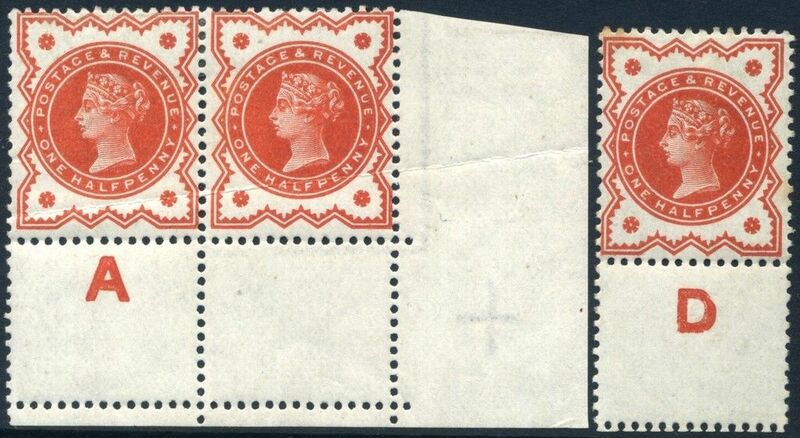 It has the type 6 overprint in vermilion on the 2 1/2d and is catalogue £600 by Stanley Gibbons as mint (which this is). Quite amazingly it sold for just under £560. 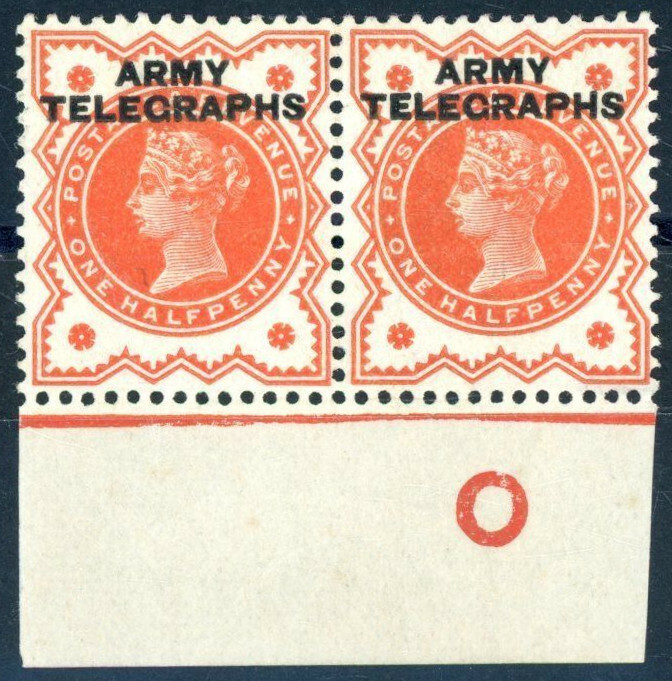 It’s very rare to see stamps sell for nearly full catalogue, so either this was two bidders who got into a crazy war or it’s a sign that there is a strong demand for the scarcer provisional overprints. 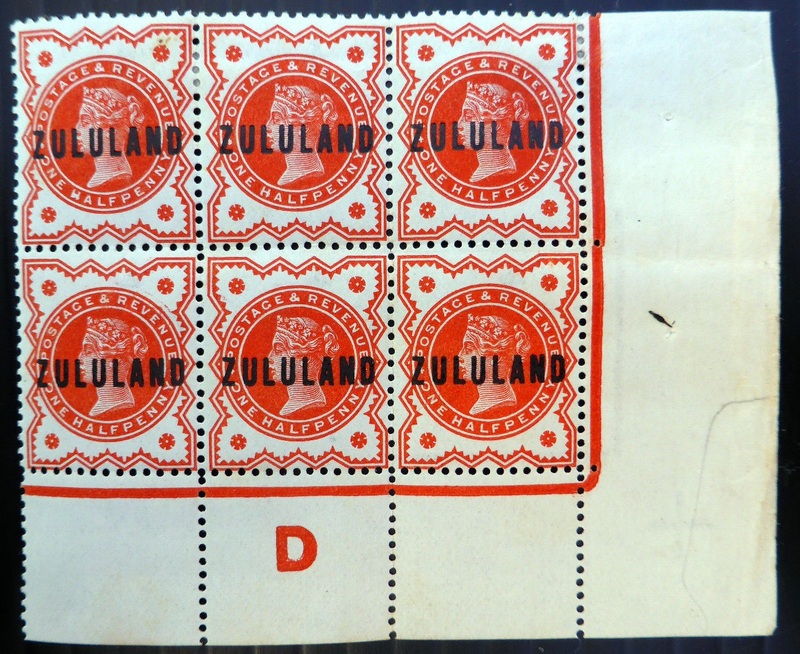 This attractive cover from Bechuanaland sold for £110.95. 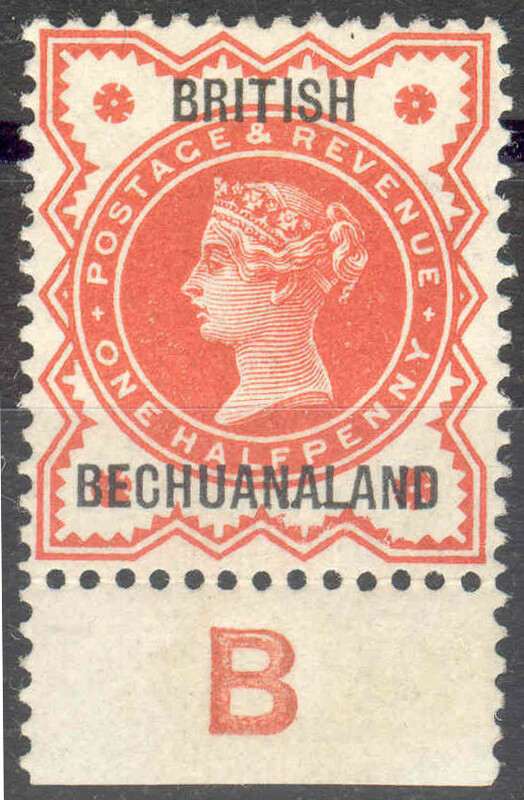 Franked with a Bechuanaland Protectorate 3d and 6d, I’m pretty sure it’s philatelic as I’m not sure about the rate of 9d (I should know really…). Nice enough though. This is another item I would like to have added to my Jubilee collection. 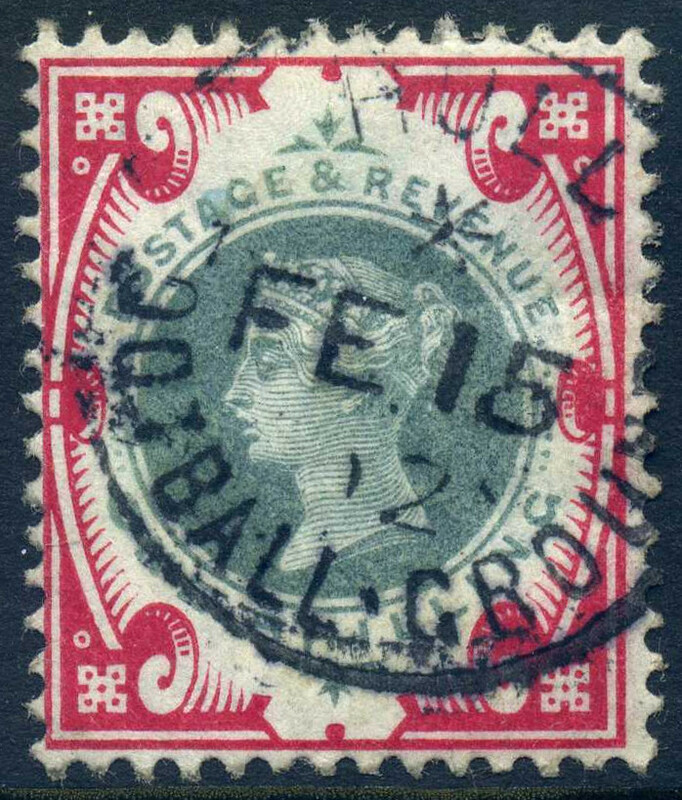 It’s an uncommon usage of the 1890 Penny Postage Jubilee insert for the envelope, with a 1/2d vermilion tied by the special cancellation. I would have paid more than the £26.95 it fetched. 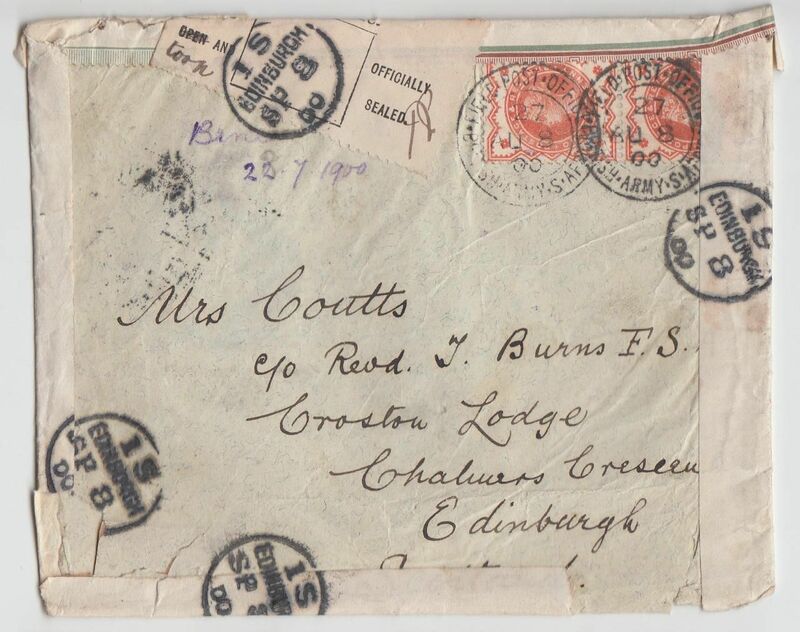 Next up is this rather scruffy looking cover is only the second cover I have found with a Jubilee franking going to Trinidad (there’s also a parcel tag going to Trinidad worth a mention). £17.80 was all that this one fetched because of its condition. Although this next cover just about qualifies for this blog because only one of the five stamps are a Jubilee, I couldn’t let this beautiful cover pass by without mentioning it. For a little extra interest, there is even the manuscript “Posted out of course”, which means it would have been dropped in a letter box instead of being taking to the post office to be recorded. It sold for £295.95. 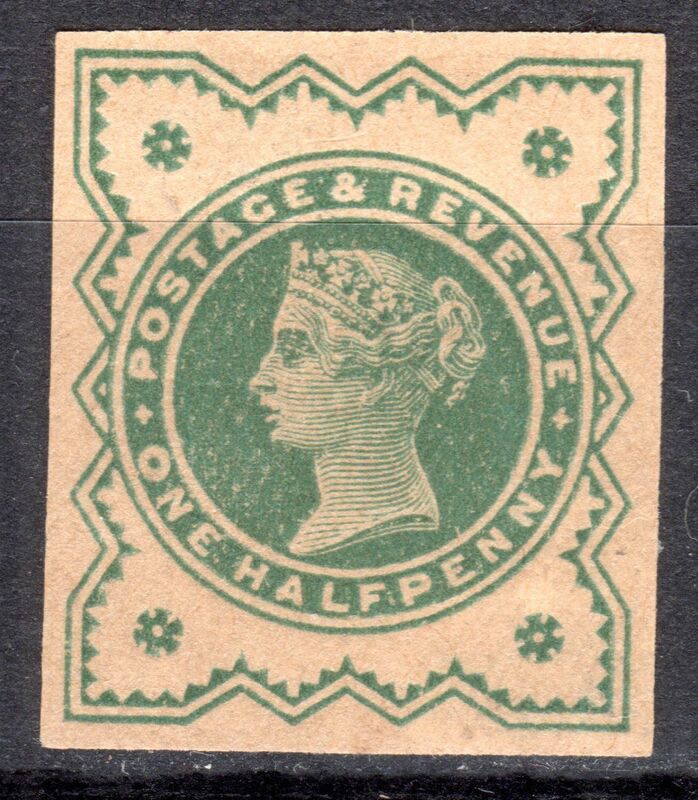 There’s nothing particularly special about this cover, but I just thought it was worth a mention because it’s something I should have added to my collection because it’s a nice example of the 4oz letter rate and the registration fee paid by two 2d green and red which is not a common rate at all. It sold for £16.24. 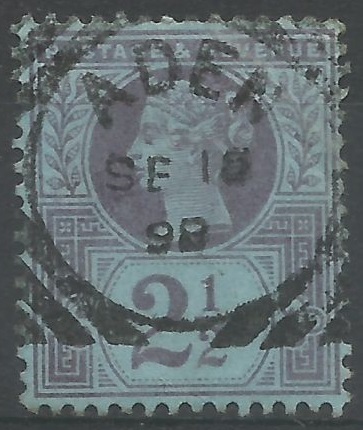 This 2 1/2d has a rather fine strike of the Aden squared circle ds. 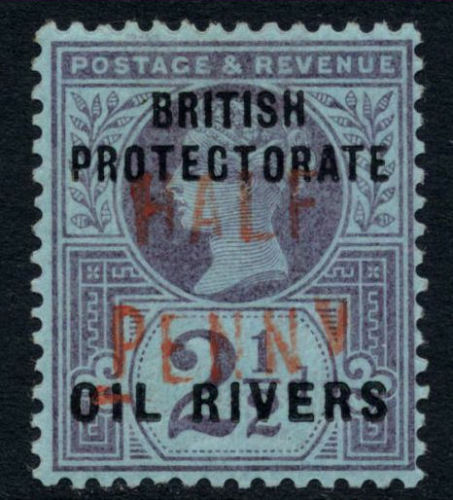 This stamp would have been attached to a cover posted on board a ship and cancelled when it was sorted in Aden. It sold for £9.34. September was a good month for the Jubilees (please ignore the fact that it’s nearly November…). I was actually a little spoiled for choice! 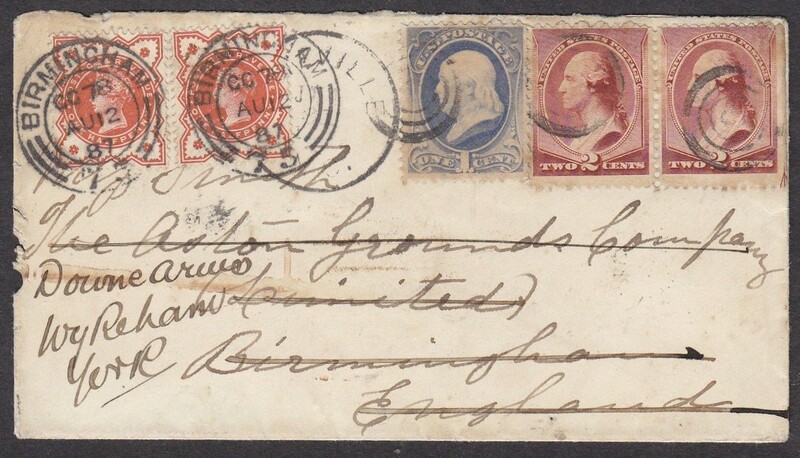 First we have a cover sent from the USA with 1883 Washington 2c pair and 1887 Franklin 1c, redirected on arrival in England with two 1887 1/2d vermilion paying the single letter rate. 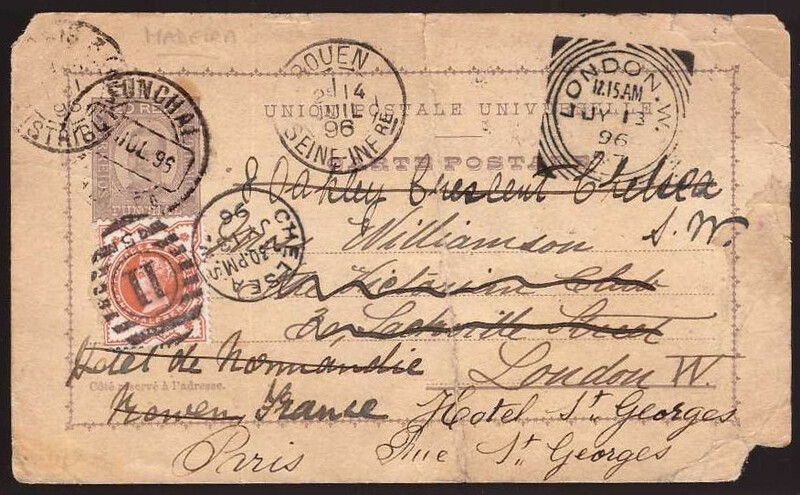 Not a common franking as US/Jubilee combinations are more often seen with later US issues. It sold for £70. This little scarce book on the control letters on the 1881 1d lilac, 1887 1/2d vermilion and 1900 1/2d blue-green sold for £21.00. 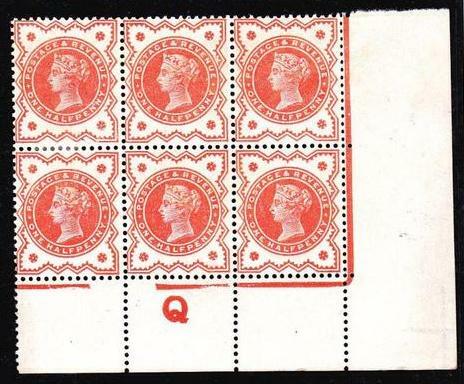 Although it won’t have any information that can’t be found in the essential Queen Victoria specialised catalogue by Stanley Gibbons, it’s still a nice addition to a Jubilee collector’s philatelic library. 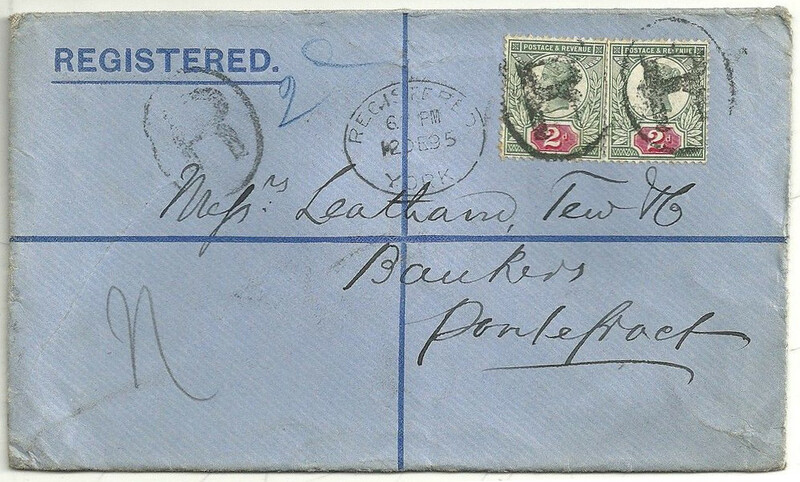 Another redirected cover with mixed country franking from the same seller. This time from India. As coincidence would have it, I bought a very similar cover the same day this one finished for £25 (a bit tatty on top unfortunately but still attractive) which bore a 1a brown instead of the 1a plum which this cover features. I had already set my heart on making this a pair with mine to make an attractive page. Alas, I underbid the cover to £43. And finally we come to the only item I actually added to my collection this month. 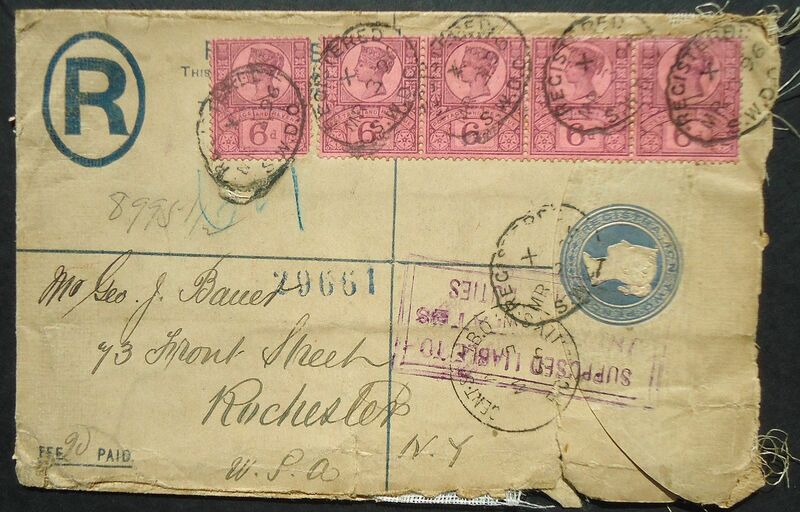 This registered envelope was sent at 12 times the UPU rate with five 6d purple on rose, plus 2d registration (as noted at the lower left) paid by the envelope. The peripheral wear and the US customs hs also indicating that something heavy was posted inside. 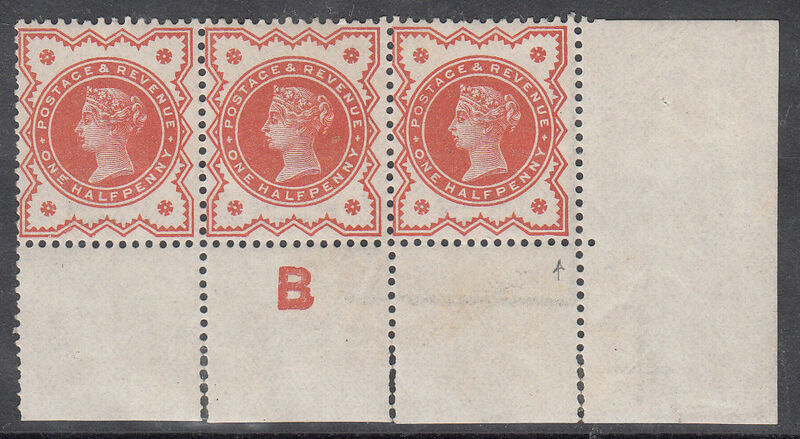 I was very happy to add this multiple franking for £31.98. Late again… :( After having to cheat last month due to a slow June, July has not disappointed. 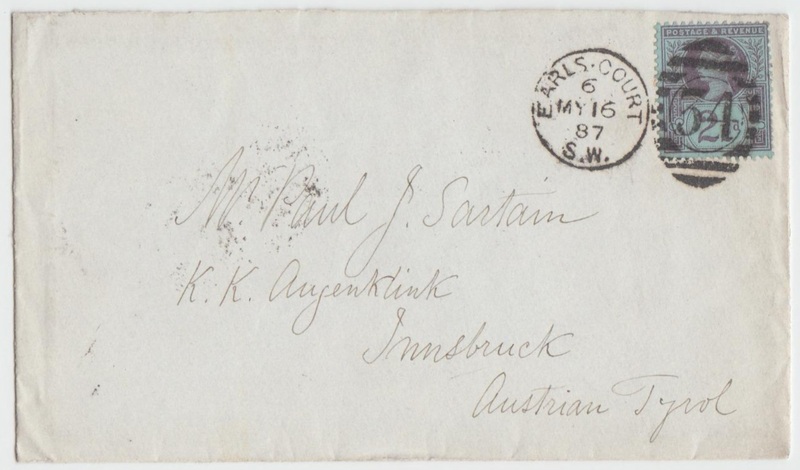 I start with this unassuming postcard sent from Austria to the UK, and then redirected to Ireland with my favourite stamp! Great! 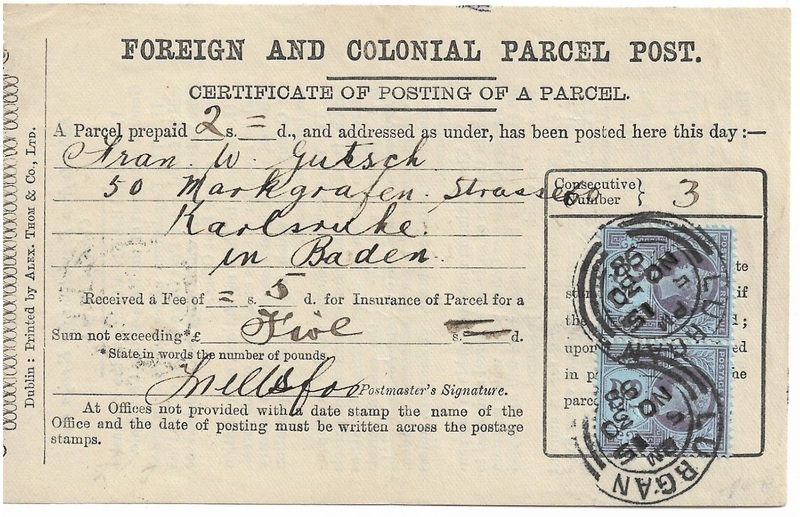 Another mixed country franking to add to my collection! Unfortunately the final price of $450 (£266.64 to me) blew me out of the water. I had thought this might have been a case of two people putting in big bids but not expecting anyone else to care. However, there seemed to be 18 careful bids up to this figure. 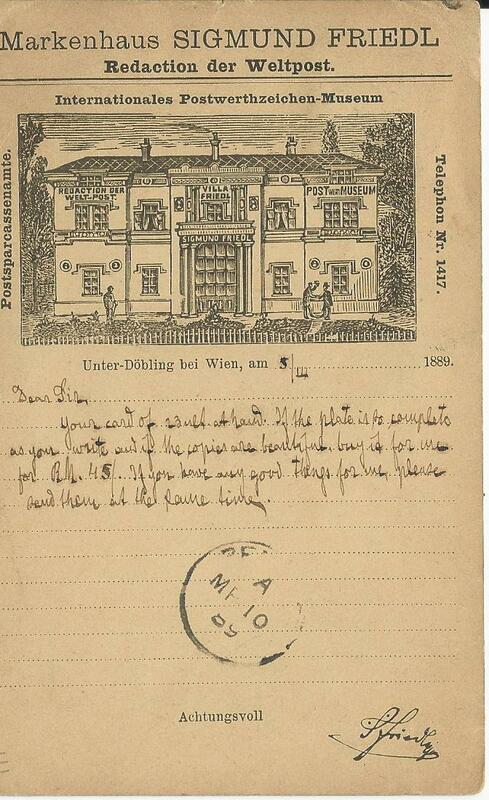 A closer look revealed it was a printed advertising card from Sigmund Friedl. A quick google search and old faithful Wikipedia showed me the light. 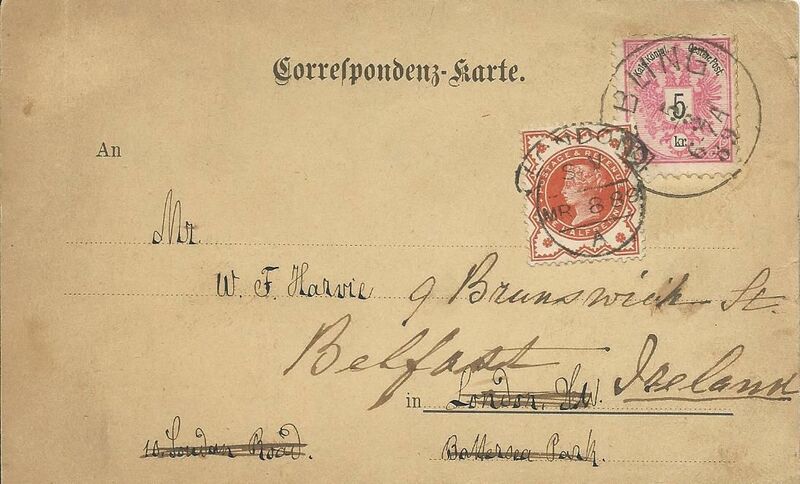 It turns out the Sigmund Friedl is one of the most famous philatelists, having sold the Sweden Tre Skilling Banco for a sum of 4000 gulden to the famous collector, Philipp von Ferrary before turning to defrauding collectors in later life. 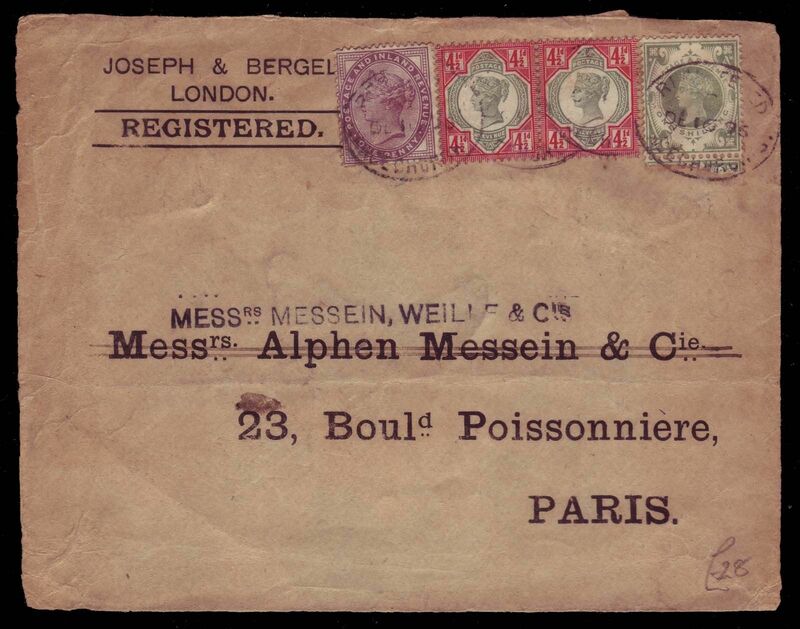 So a very interesting item for the philately historian. 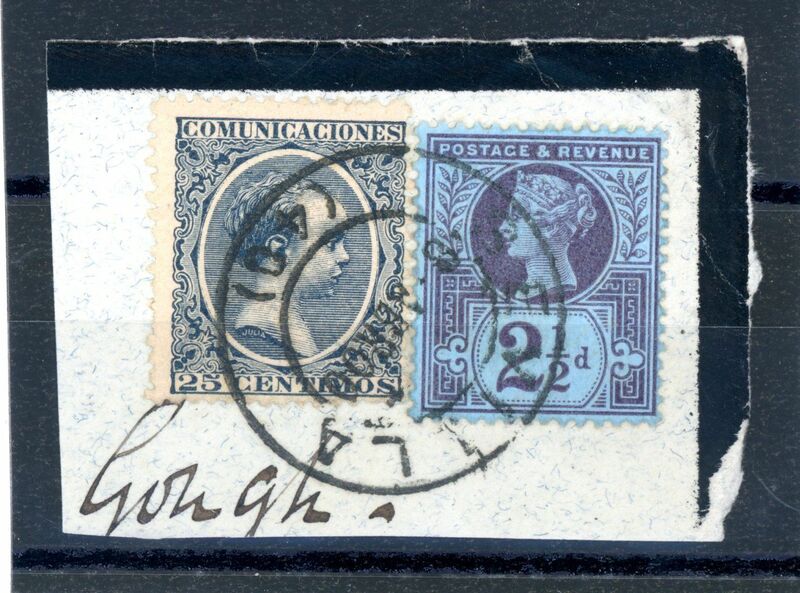 This interesting piece caught my eye, but I wasn’t that excited to pay £55.74 for this 2 1/2d “in combination” with a Spanish 25c, cancelled in Seville. 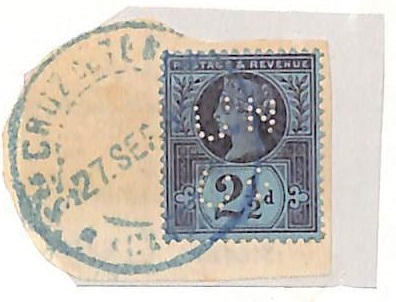 My opinion is that the 25c covered the cost of postage, and the 2 1/2d was fortuitously cancelled at the same time. 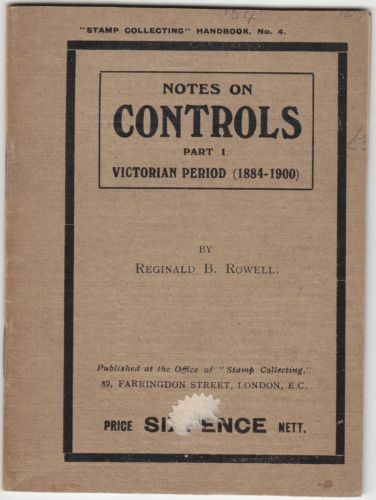 Controls seem to be more popular than ever, with even common corner pairs selling for £20 plus. So I wasn’t surprised that this duo sold for £57 even though they both had faults! 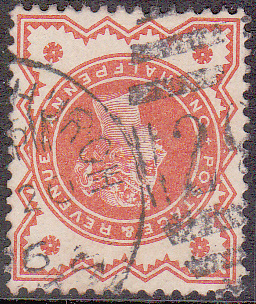 This attractive piece has six 1/2d vermilions cancelled by the rubber datestamps of the Army Post Office at Modder Spruit. My second use of Wikipedia in a month reveals that “Modderspruit is a town in Bojanala District Municipality in the North West province of South Africa.” Short and sweet… I’m still learning about Boer War philately, but my gut says it must be scarce, and I’ve never seen this town cancel before. If only it were a complete cover! £44.40 is a good price for a piece though. And last but not least…I couldn’t let a month go by without a bit of destination mail! 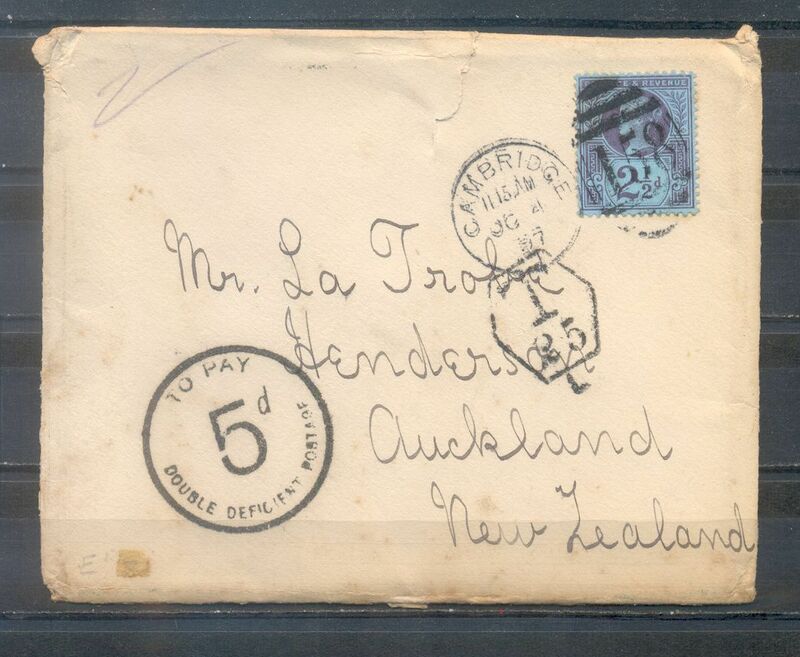 New Zealand isn’t the rarest of destinations of course, but as this letter was sent underpaid, the New Zealand post office struck it with a nice “TO PAY / 5d / DOUBLE DEFFICIENT POSTAGE” tax handstamp. Even though it’s a little aged, it sold for £39. May was a quiet month for the Jubilees on eBay so I only have four items for you…sorry. First up is this attractive British Levant commercial cover sent from Beirut. 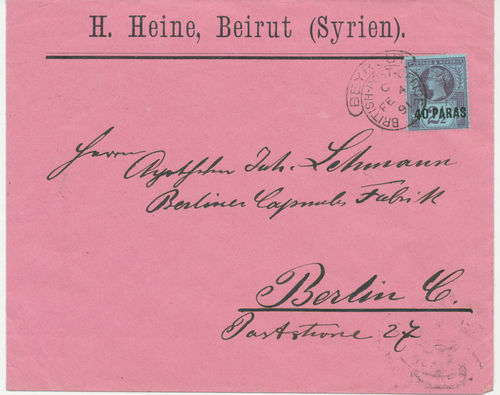 The 40pa on 2 1/2d is tied by a crisp hooded circle ds on Beirut which is much less common than the cds of Constantinople and Smyrna. 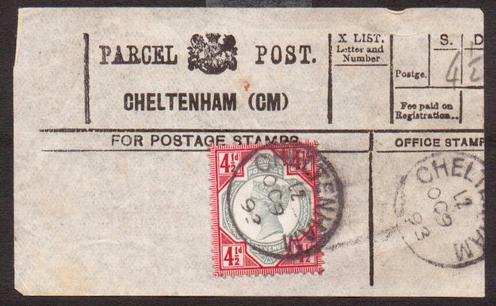 What made it that extra bit special, was that the reverse had transit marks of both the British Post Offices at Smyrna and Constantinople! So it sold for an impressive £51.00. 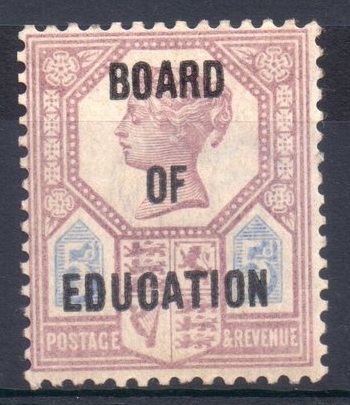 I’ve chosen this Board of Education official overprint on the 5d purple and blue as another reminder to readers about the danger of forged overprints. 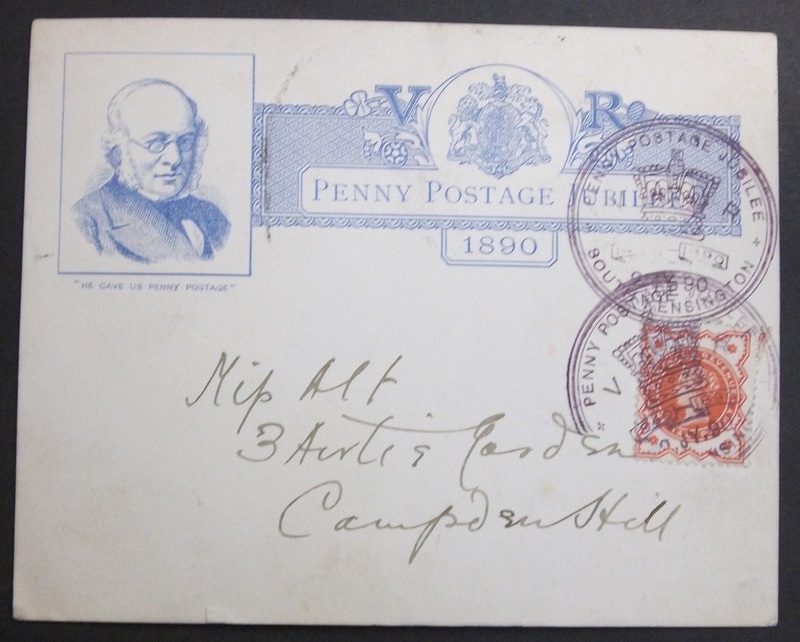 Catalogued at £4’500, the fact that the seller was happy to let this mounted mint example go for only £303.55 should be a clear indication. ALWAYS buy these stamps with a certificate. Dealers know this. So if you’re offered one without a certificate of authenticity from a respected expertising committee such as the BPA or RPS, just walk away. And finally there were several control strips of three just like this one which appeared this month. Prices showing that there is still a strong demand for these items even for the more common O, P and Q controls. 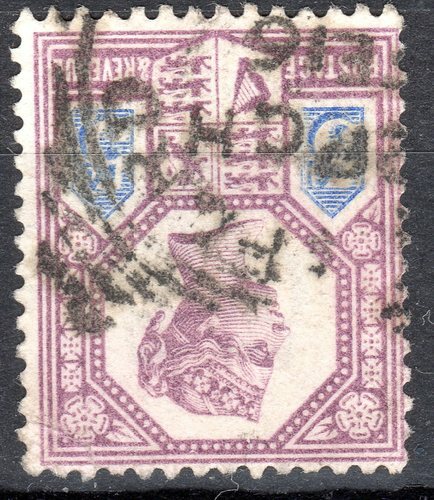 This one is slightly more unusual in that it is doubly perforated in the margin. It sold for £31.70 despite some tone spots.